Female fertility depends on the woman’s healthy cycle. Traditional Acupuncture sees this cycle in terms of 4 phases: Yin and Yang and Qi and Blood. 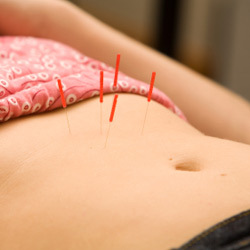 During pregnancy Acupuncture would seek to strengthen Kidney and Spleen Qi, for example. Feelings of relaxation and vitality are common after acupuncture. Having been an acupuncture client of Coral’s for several years it made sense to ask her to treat me when I wanted to conceive. In my late thirties I wanted to boost my fertility as much as possible so Coral treated me for this and I was delighted to be pregnant within months. I continued to have treatments during my pregnancy. Coral also attended to me in hospital during labour and since giving birth I also had acupuncture to aid the healing process.